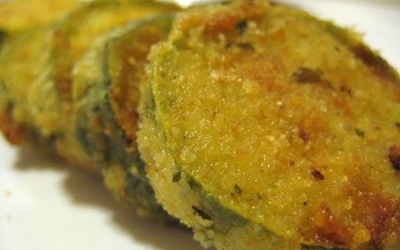 Dovlecei Prajiti cu Smantana is a Romanian food recipe for fried zucchini with sour cream. Heat lard in a pan and fry zucchini a few at a time until golden. Add more lard if necessary, heating well before adding vegetable. Arrange in a casserole dish and drizzle with lemon juice. Sprinkle lightly with salt. 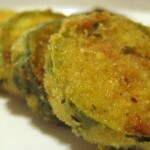 Mix sour cream with butter, flour, and salt and pour over zucchini. Sprinkle with dill then bake for 20 minutes in a 350F oven.